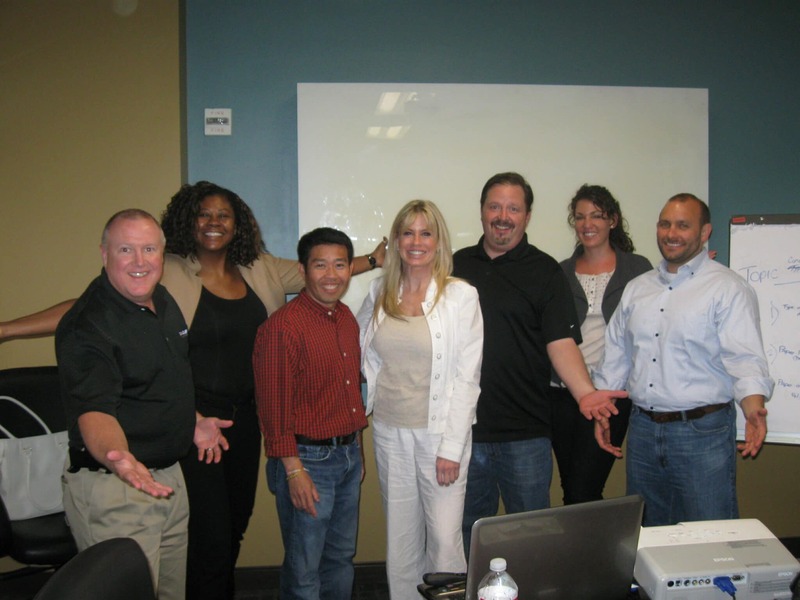 In May, 2014 nine people were in attendance at a Fearless Presentations ® class in the Dallas, TX. The group was seeking ways to increase their comfort in presenting and their ability to deliver effective public presentations. Feedback from the group suggested that people most benefited from the preparation and delivery advice hat we offered them. The group learned a lot from the adding enthusiasm exercise. Sometimes by doing things a little differently you can achieve different and positive results. Many expressed success in addressing their fear of public speaking, It was a great group, very enthusiastic, funny, and outspoken. When a speaker turns boring statistics into real life stories he or she makes the audience sit up and listen, and “appreciate”, not just “tolerate” his presentation. Every set of data deserves a good example to clarify – a story that can be used to bring the data to life. A really good example helps your audience understand the data. 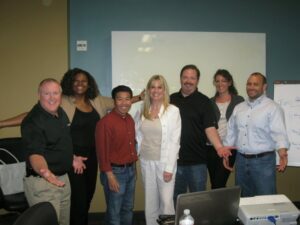 The group who attended the Dallas Fearless Presentations Workshop learned the importance of the proper use of audience participation. Many people try to get their audiences involved in their presentations, but end up struggling to get people to participate. The first mistake people make is that they ask rhetorical questions and then wait for an answer. Drawing on shared emotions and experiences, stories create rapport, interest in your subject, and buy in. The more stories you tell – the more persuasive your speech becomes, and the more relaxed and powerful you become as a speaker. At the conclusion of the two day class I received a great deal of feedback from the participants; they exchanged business cards and expressed a real sense of camaraderie. “Great tips, instructor has great positive energy, fun and we were able to practice the techniques in class as the instructor coached from the back of the room. Whether you are in Dallas, Ft Worth, or any other city in North Texas, we offer these 2-day classes every three months, so you can always find a convenient seminar in your own back yard! For an upcoming schedule of classes, click here. Other Texas Locations: Houston Workshops, Austin and San Antonio.